Arris engineered an additional 12.47 KV electrical power service line and associated power distribution systems for the manufacturing facility. The existing facility required an increase in the power system capacity to support production capacity increases. A new high voltage power service was designed consisting of new medium voltage utility service switchgear, medium and low voltage feeders and new unit substations. 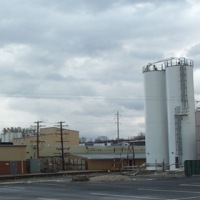 The existing plant is an around-the-clock production operation. The design had to take into consideration that a minimum of shutdown opportunities were available to accomplish the project within the time frame available.